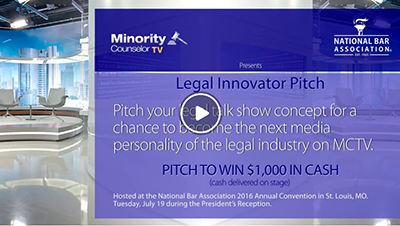 The Legal Innovator Pitch at the NBA Annual Convention, is a fast-paced new media pitch competition to promote minority legal professional as talk show “thought leaders”. All registrants will be given 2 minutes to pitch their idea and the winner takes home the cash prize and their show concept developed into a actual practice area program on MCTV. If your submission is not selected, participants will be contacted for an interview for further development of the idea for an alternative production. Submissions are due July 11th. Applicants will be notified by January 17th of the Pitch details that will be hosted during the President’s Reception on July 19, 2016 at 9pm at the NBA Annual Convention. Anyone who has an entrepreneurial idea for a blog, podcast or webtv show who would like to pitch to a panel of judges for the purposes of receiving feedback, potential prize money, and/or possible seed funding may register. The maximum number of team members for a single pitch is limited to 3 persons. Pitch competitors may participate on only one team. If you are not selected to pitch, you are still encouraged to attend MinorityCounselor’s Legal Digital Innovator Conference. You’ll still have the opportunity to network with like-minded lawyers and entrepreneurs to learn about digital publishing and opportunities for legal start-ups. 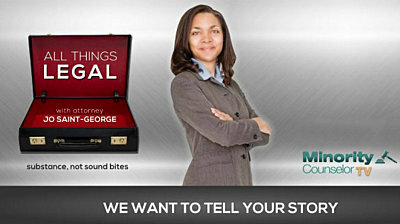 You must be registered for the event, either live or virtual to submit a pitch. The pitched idea or concept must be the original work of the individual or team pitching it. Ideas and concepts deemed by the MinorityCounselor Legal Digital Innovator Committee to be fake, insincere, offensive, immoral, or unethical may be screened and disqualified. 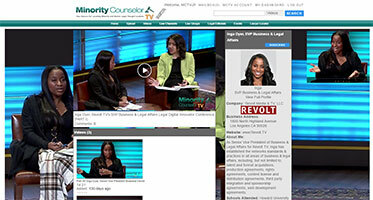 MinorityCounselor Legal Digital Innovator AND ITS ORGANIZING COMMITTEE RESERVE THE RIGHT TO DISQUALIFY ANY APPLICANT OR ENTRANT THAT VIOLATES THE RULES OF THE COMPETITION OR IS NOT ALIGNED WITH THE PURPOSE OF THE COMPETITION. The objective of the pitch is to simply define the idea or concept by explaining a product, service, or value proposition. Reproduction: MinorityCounselor Legal Digital Innovator or its Organizers may take photographs and/or video of any materials used or made available by pitching individuals or teams during the competition for public relations purposes. Any content presented by a competitor should be considered public knowledge. Competitors should carefully consider excluding any proprietary information or materials that the competitor feels is at risk of disclosure. Prize Money: Prize money will be awarded and allocated in equal shares to each individual or the winning team. The individual recipients of prize money will be responsible for the tax implications of their winnings. MinorityCounselor Legal Digital Innovator prize money payments are considered as income to the individual(s) or team members receiving the prize money. Contact: For any questions about the pitch, please contact us at pitchinfo@fhgmediaent.com. Acknowledgement: Entrants acknowledge that by submitting the application to participate in MinorityCounselor Legal Digital Innovator they have read and consent to the rule of the pitch competition.